HOW IS IT ALREADY OCTOBER 22…2017!?!?! Does anyone else have this feeling…or is it only me????? I’m pretty sure it’s not only me. Anyway, I haven’t posted in a while, life is totally in the way. 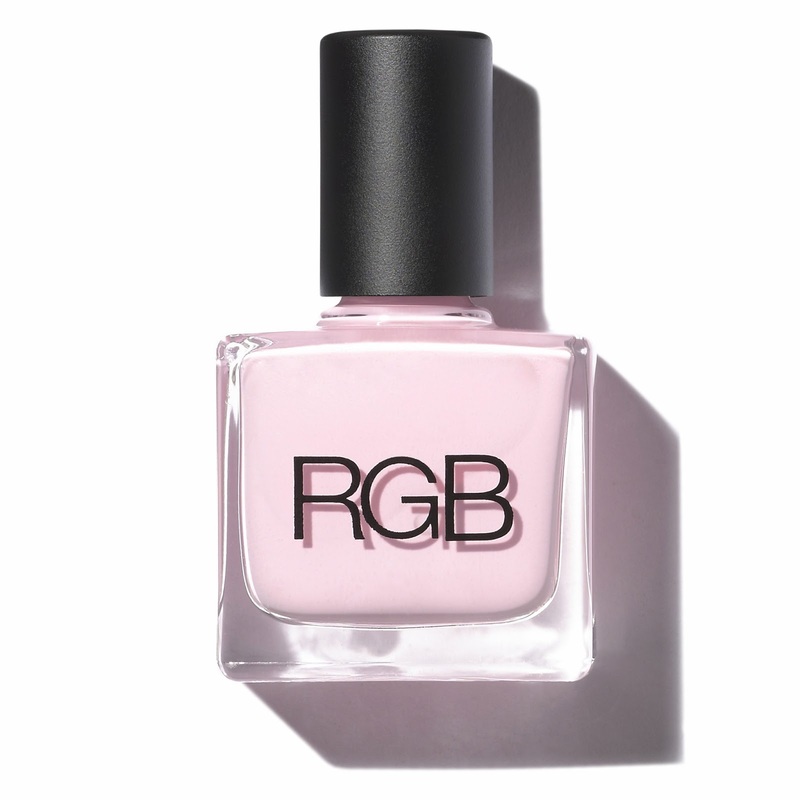 Also, I’ve been so in love with the products I’ve been using for a while now, and I haven’t really switched anything up…which is so unlike me…and doesn’t really give me anything to write about!! Ugh. I’m usually the ultimate time manager, and as far as teaching goes I still am, but I’ve realized that for the past month I’ve totally gotten off track in every other aspect of my life. So, my big focus this weekend has been to rebalance myself, get some great posts written, and get back to being on my #girlboss grind. This past month has been so busy and fun, so here’s a sneak peek of everything I’ve been doing lately. I decided to take myself out to lunch before an appointment one Friday, I’d been wanting to try Barley Mac in Arlington for a while, so I hopped in and sat at the bar with my book. I wanted to try a few things, and I knew a pizza would be perfect to take home as leftovers, so I started with the Caesar salad, and then had one of their popular pizzas…the Fresh Fig Prosciutto & Goat Cheese, sans figs because I’m not really a fig gal. Everything was so delicious!! I especially loved the cucumber margarita, it was so beautiful and tasted delicious on a Fri-yay afternoon. 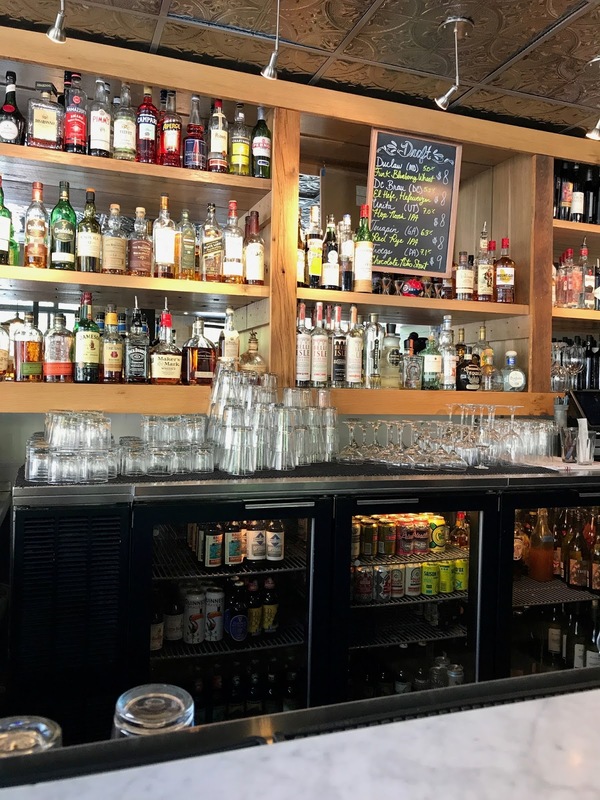 If you’re in the Arlington, VA area for a day of shopping…or doctor appointments…stop by Barley Mac for lunch! I planned a day all to myself during my school’s spring break this year- I booked a massage, walked through Clarendon’s Market Common to do some shopping, and then found myself starving…of course. I’ve been wanting to visit Green Pig Bistro for, literally, the past 5 years, so I figured why not take myself out to lunch?! The decor of Green Pig Bistro is fresh, clean cut, and sustainable. I love the reclaimed wood throughout the restaurant, and the set up of the bar is sleek and clean. 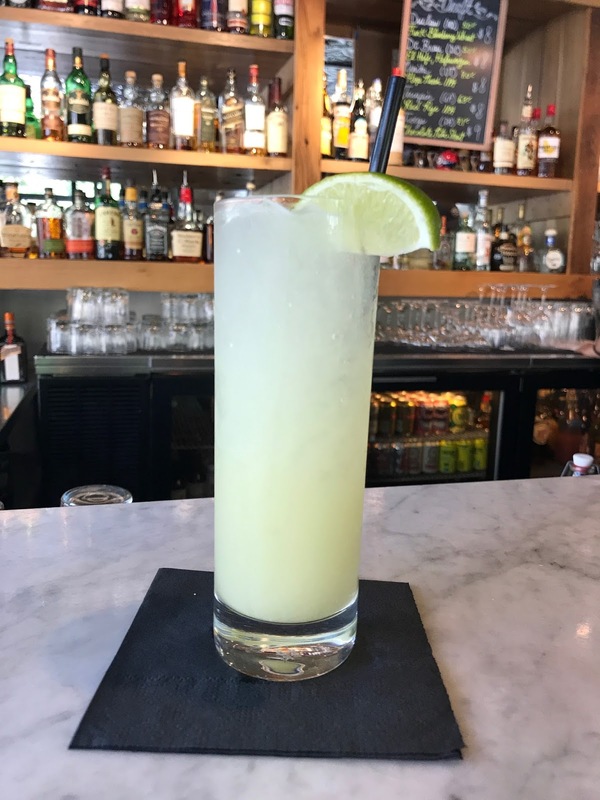 It was a quiet afternoon when I popped in, so I took a seat at the bar, and asked the bartender pick their best drink for me. He mentioned how incredible the Green Pig’s Moscow Mule is because of their homemade ginger- beer. I ordered it, and the prettiest Mule came a few minutes later, in a highball glass, much different than how your average Moscow Mule is served. I really enjoyed seeing the color of the drink, it was a great reminder that summer is right around the corner! The ginger beer was amazing, it was strong, but had such a great crisp taste. The bartender explained how they use a fair amount of peppercorns and cinnamon sticks to get that strong spice taste- I wish I had one right now it was so refreshing and delicious! 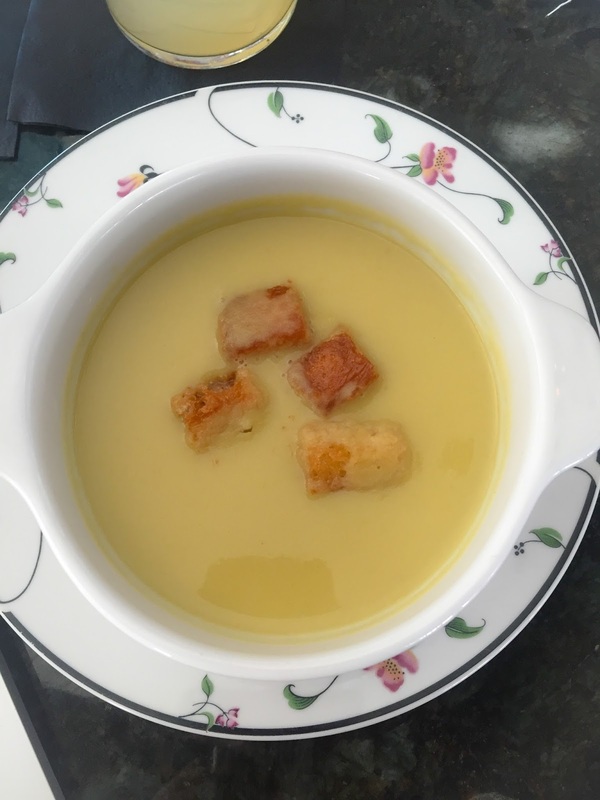 I wanted to start with an appetizer, so I opted for the Onion Soup with Emmental cheese and croutons. Had I been with a group of friends, I probably would’ve opted for the “buffalo” ribs. I was told it’s their most popular appetizer, but I knew that would be way too much food. So, I stuck with the soup…which was so incredibly yummy. 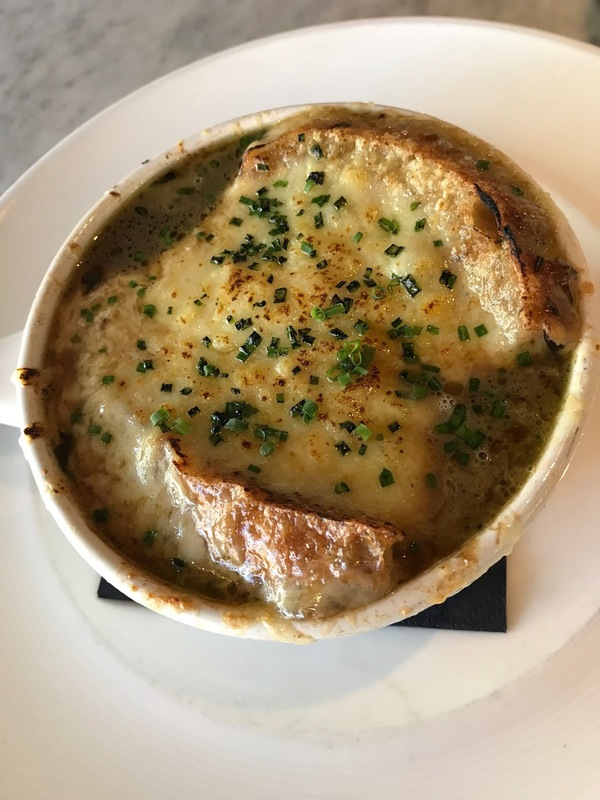 The onion soup was super cheesy and hearty, and not too salty, which is really easy to do with onion soup. It was a big serving, so I took about half home for my boyfriend, he absolutely loved it too! For my main course the bartender suggested the Black Angus Cheeseburger with GPB sauce and fries. The GPB sauce is the chef’s version of a Thousand Island dressing, & it was perfect for the burger. One interesting aspect of their burger I loved is that they add ground bacon into the burger meat, doesn’t that sound like a dream come true?! The burger was so flavorful, and the homemade bun added another unique element to a classic lunch. 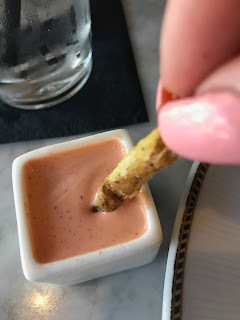 My server also brought out some of their homemade spicy mayo for the fries, & just like the rest of the meal, it was delicious! 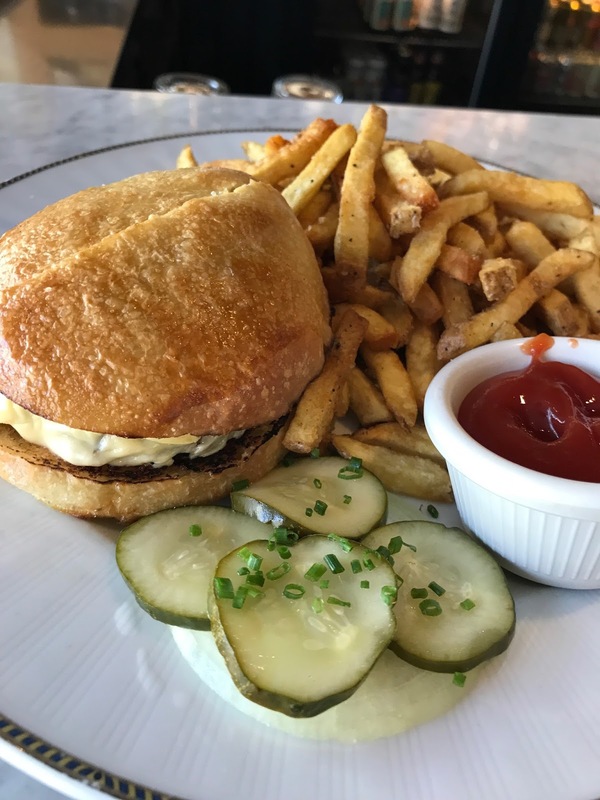 The Green Pig Bistro is the perfect spot in Clarendon to get a relaxing lunch, it was everything I had expected and more. The food, atmosphere, and attentive service were all great, and I can’t wait to return to check out their brunch options! Waxing…the age old, it hurts, but I have to do it, beauty routine. 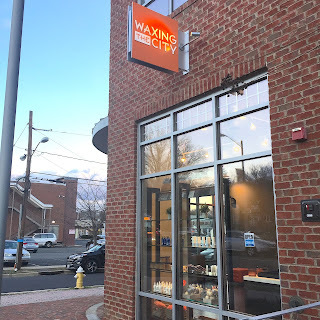 This is about to sound unreal but, I actually had a waxing experience over at the brand new Waxing the City in the super cute Del Ray neighborhood of Alexandria. I can honestly say I’ve never had an experience while getting my brows waxed…until I visited Waxing the City! First of all, if you haven’t ventured out to Del Ray, Alexandria, I highly advise it. 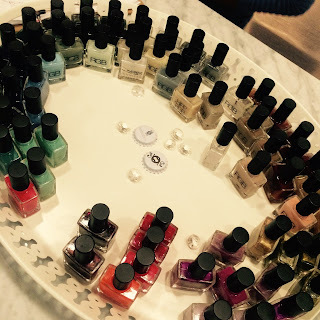 Go with some girlfriends for a wax, followed by happy hour somewhere on Mount Vernon Ave. This area of Alexandria is so cute with a few great restaurants and coffee shops…the location for this new Waxing the City is perfect. The orange and grey decor is warm, comfortable, and inviting- it was honestly unexpected, but in a great way! 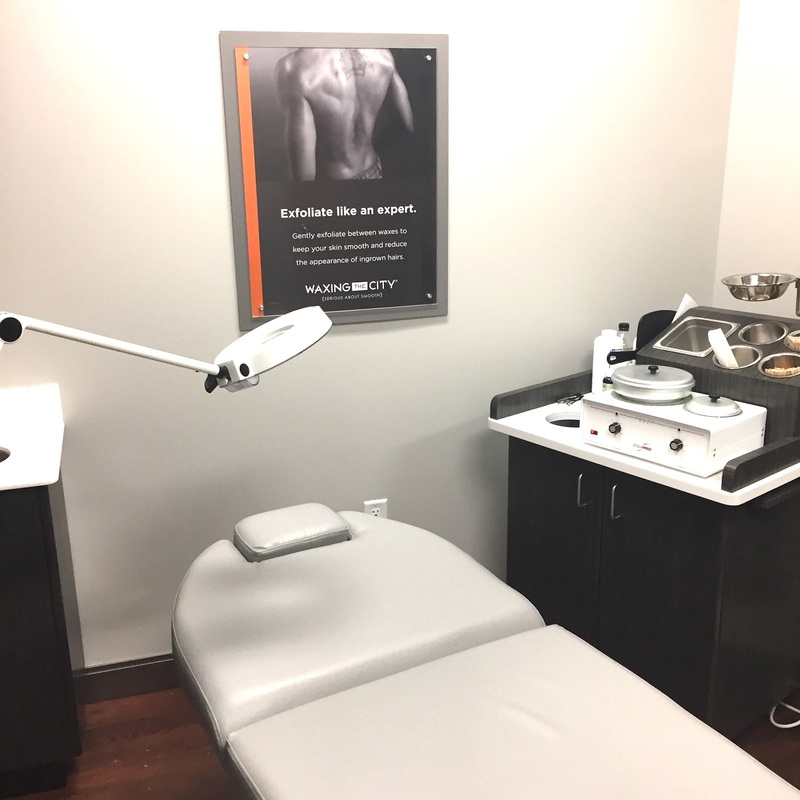 The waxing room was clean, there was plenty of space to put my things down, the table was comfortable, and all of the waxing materials are neatly laid out. Laura, the owner of this Waxing the City, gave me a quick, but informational, brow consultation before getting started. 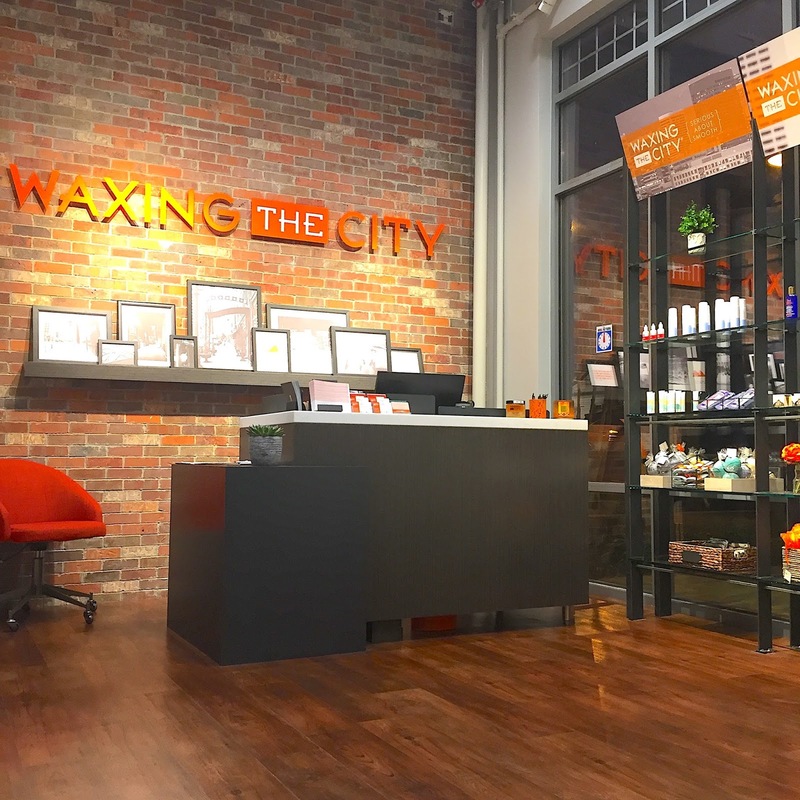 Waxing the City uses their own custom hard wax, and let me tell you, it did not hurt or feel any type of uncomfortable, AT ALL. They also have a soft wax for more stubborn hair removal. The whole process of Laura crafting my brows to perfection was truly an experience versus a check off my beauty to do list. 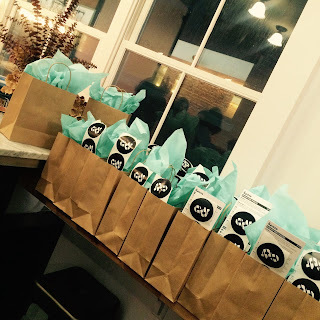 I’ve never had a waxing experience before, and I have to tell you, I really enjoyed it! As I said, the wax didn’t feel uncomfortable at all for me, so I was able to just relax while she worked on my brows. Sounds so different than the waxing norm, right?! 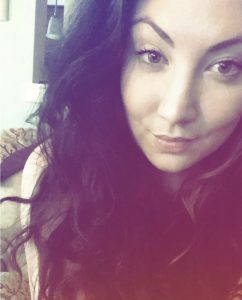 I have to be honest, the process was a little longer than your average brow wax, but it was so worth it after a long day at work. I didn’t feel rushed, and I really enjoyed my conversation with Laura. When I was done, I was amazed by how great my brows looked, and I headed out to the front desk to look at their retail items for sale. From pre-wax treatments to bath bombs and sugar scrubs the manager, Olivia, did an incredible job at giving highlights to each product. I’m looking forward to going back and picking a few up in the near future. Right now the Del Ray location of Waxing the City is accepting bookings for services & the best part is that you can book online, here! They also have great packages like Buy 9, Get 3 Free for their various waxing services. I can’t wait to head back to Waxing the City, I truly value the experience I had- which still seems so odd since it was just a waxing, but really, that’s how great it was! PS: Receive 50% off your first visit!! In an age where women receive a blow out as often as a manicure it’s important to have a local blow dry salon you can trust and build a relationship with. 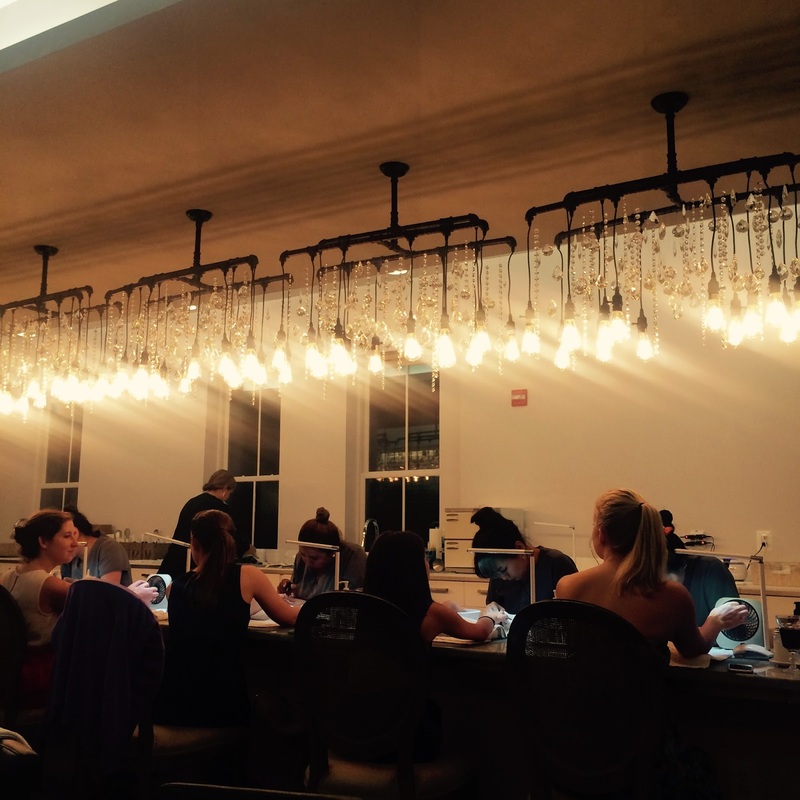 Cherry Blow Dry Bar is located right in Clarendon & the vibe when you walk in is, in my opinion, New York chic. From the super cute chandeliers to the warehouse type flooring, the experience is perfect for the fun professional women in our area. I had been driving past Cherry Blow Dry Bar for a while and I decided it be would be perfect place to have my, and my bestie, Heather’s, hair done for the Washington Humane Society’s Fashion for Paws event. I love love love the Washington Humane Society, and I’ve been to their annual Fashion for Paws event many times, so, of course, I needed a great place to have my hair done before. I was excited to try Cherry Blow Dry Bar for the first time, and they certainly did not disappoint! As soon as you enter you’re warmly welcomed and promptly asked if you’d like a glass of champagne. How could you not love that?! Also, they were playing the best music, a little bit of everything which I love. Lindsey, my stylist, has been doing hair for about 7 years, but has only been working at Cherry since the beginning of this year. She was kind enough to answer some of my questions about Cherry Blow Dry Bar! 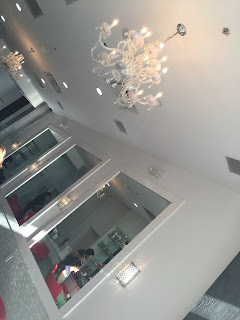 We all know there are other blow dry bars popping up, especially in the DMV area, when I asked Lindsey what set Cherry apart from their competitors she mentioned how valuable the customer service experience is, which I totally agree with. She also focused on the consistency between all of the Cherry locations and explained how the stylists training for Cherry is unique. 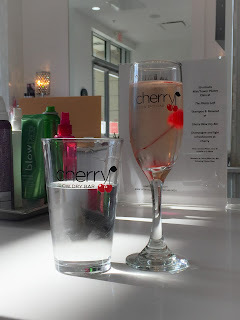 There’s also another Cherry in the area, in Mosaic District, so it’s nice to know that everything across all of the Cherry Blow Dry Bars are done in the exact same way. Also, Cherry Blow Dry Bar membership options are available for frequent customers, and they are super affordable. 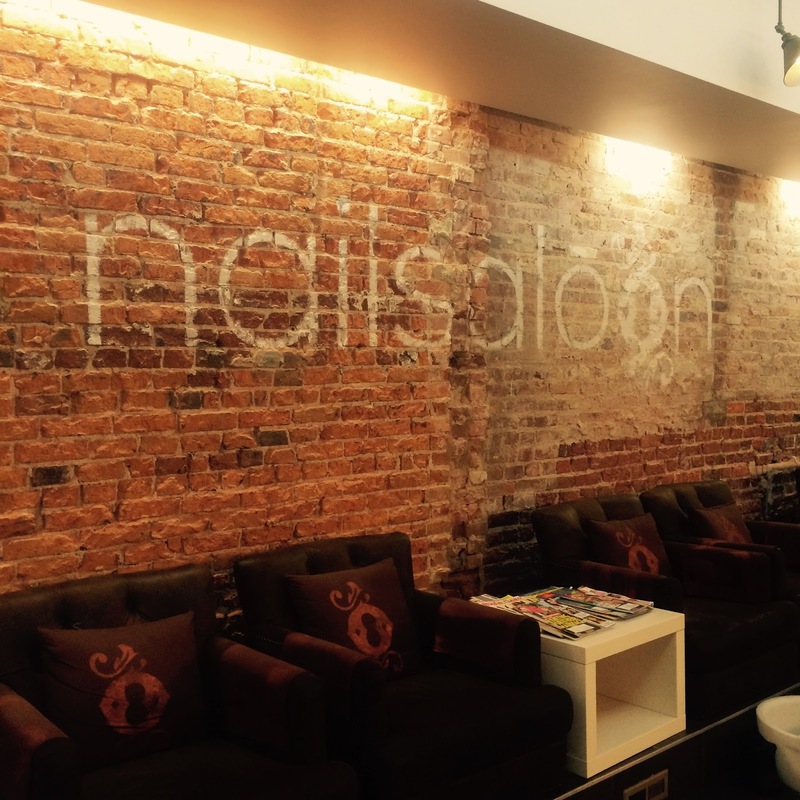 A month-to-month membership is $60 and that includes 2 monthly blowouts, 10% off products, and discounts on other salon services. The Frequent-Dryer unlimited monthly memberships runs $149, which, aren’t really that bad of a price if you have a lot of D.C. events to attend! 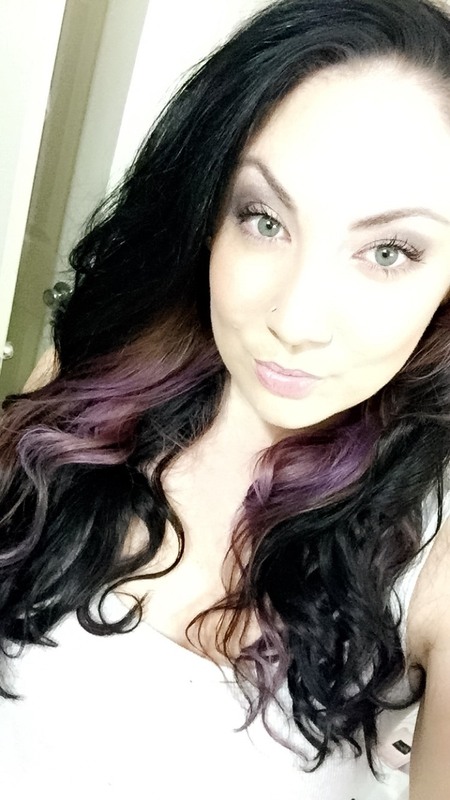 I loved my hair for the event, the curls were great, and the style lasted all night, and well into the next day! I also have to comment on the fact that Lindsey was able to wash, dry, and style my hair in such a reasonable time frame- I have thick & long hair, and my other blow dry experiences have taken quite a long time. 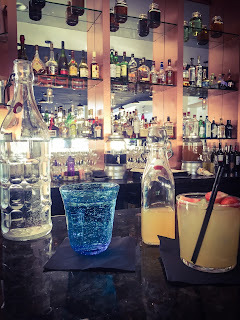 My experience at Cherry was just enough where I was able to relax and enjoy myself, but not too long where I felt a time constraint with getting ready for the event. Next time you’re looking for a high quality and affordable blow out, pay a visit to Cherry Blow Dry Bar, rest assured you will be treated well & love your blow out! Last month I wrote a review on the fantastic Hydrafacial I received at NOVA Plastic Surgery’s Ashburn location. My Hydrafacial review was the first in a three part series of treatments provided by NOVA Plastic Surgery, and I am so exited to bring you the second one today…BroadBand Light Therapy. I had never heard of BroadBand Light Therapy, or BBL, before having it offered to me by NOVA Plastic Surgery. I read up on it a little, but I was looking forward to having it explained to me by the physician assistant performing the treatment. As soon as I walked in Wednesday afternoon I was warmly greeted and excitedly awaited to be called back to begin. Michele Gittings, a nationally board certified PA welcomed me back and began explaining exactly what BBL was all about. BBL can help remedy a variety of skin issues, but my personal two concerns are hyper pigmentation caused by sun damage and redness from my rosacea. The name BroadBand Light Therapy can be a bit on the deceiving side, since the treatment feels like a laser. However, it’s not a laser, it’s an intense pulsed light provided by a little machine called SCITON BBL, pictured below. So, what happens with this intense pulsed light? First, Michele supplied me with goggles to protect my eyes & applied what felt like a good amount of ultrasound jelly all over my face. Next, she went over my entire face twice zapping away everything that leads to uneven skin tone. The first round she used a brown filter to target hyperpigmentation and the second time she went over my face with a red filter to target redness. The various filters allow the light to find what it needs to tackle, and the pain was minimal. Essentially, it felt like little tiny zaps that burned ever so slightly. I was given a nice little cooling air tube that I could position toward my face for relief. After about 15- 20 minutes I was done, no pain, just redness that went away by the next morning! 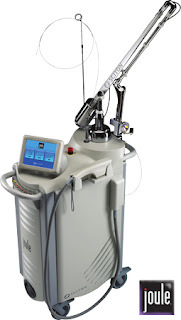 I wish I could say just one BBL treatment is enough, but of course, you need to go through with the treatment a few times to achieve maximum results, and this is a pricey one…although totally worth it! Each treatment costs $400 individually, but NOVA Plastic Surgery offers a package of three for $950, which, when you do the math, is actually an awesome deal. After seeing a few pictures of patient results, this treatment really is incredible if you can afford the upkeep. Also, not only is the $950 price tag not bad considering the service being provided, but when you prepay you get an extra 10% off, which would bring your total down to $855. I would certainly go ahead with the BBL Treatment again, although I do feel like the treatment is targeted toward women slightly older than me. However, in all honesty, if I start broadband light therapy with my skin now, I know I’ll have less maintenance issues as I grow older…which is exactly what I’m going for!! Okay so let me start by saying this unique experience isn’t exactly a “DC” Happening…it’s an Ashburn, Virginia happening…but, I digress. 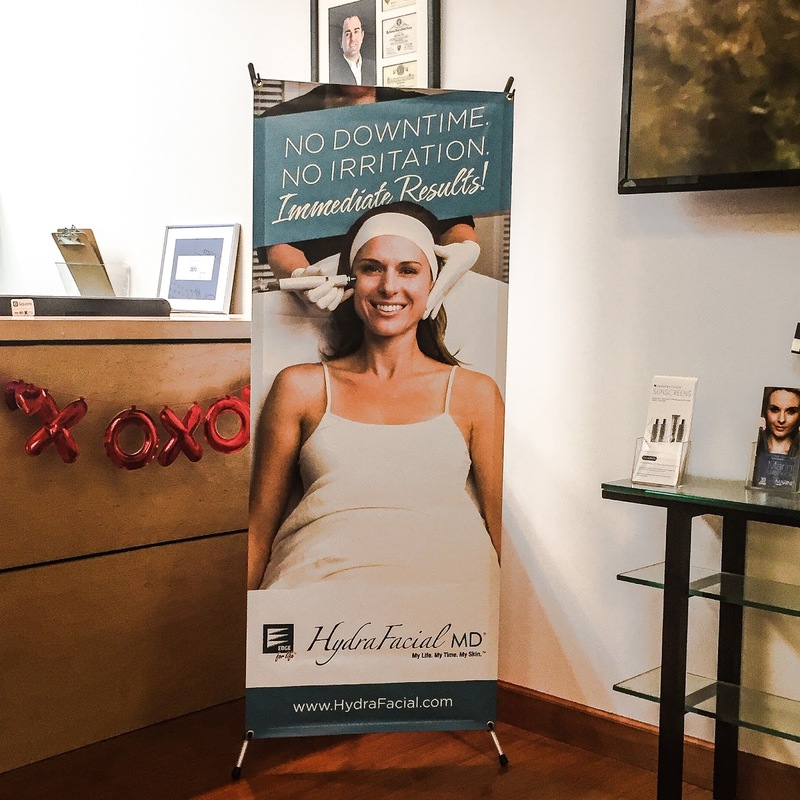 NOVA Plastic Surgery, located about 40-45 minutes outside of D.C., invited me in to try the new HydraFacial MD experience. An innovative facial designed to give quick results. NOVA just received this technology a couple of months ago, not many other medical spas have it, and it’s already quite popular. 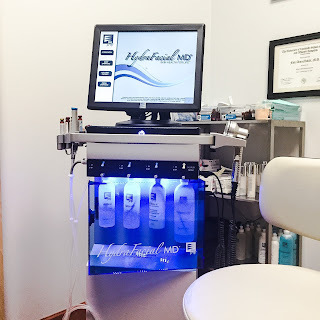 I’d never heard of the HydraFacial MD before, but the Physician Assistant who performed my facial, Sherri Anderson, told me Matthew McConaughey has one of the machines in his home so…it must be good! If you’re interested in enhancing your skin health, or if you struggle with oily skin, fine lines, enlarged pores, texture issues, or hyper pigmentation, just to name a few, the HydraFacial MD might be the perfect choice for you. When I walked into NOVA Plastic Surgery one afternoon after a long day of lesson planning I was warmly greeted by Jenn, who had been so helpful with scheduling, and rescheduling, my appointment- NOVA Plastic Surgery’s customer service was great from the start. Sherri greeted me and brought me back into the treatment room, and began explaining how the HydraFacial works. I quickly removed my makeup from the day using a gently cleanser before settling down into the chair, ready to get the 20 minute treatment started. 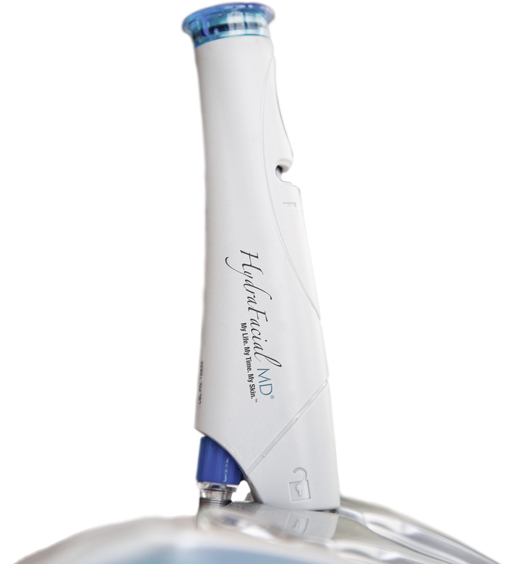 The HydraFacial MD is a four step treatment & each step is performed using the Vortex-Fusion device, which can best be described as a small vacuum for your face. Literally, it felt like a vacuum going back and forth all over my face, but in a great way. First, skin is cleansed using Active-4 Serum and then exfoliated with a glycolic acid peel. After looking at my skin Sherri determined I could handle the 15% glycolic acid. 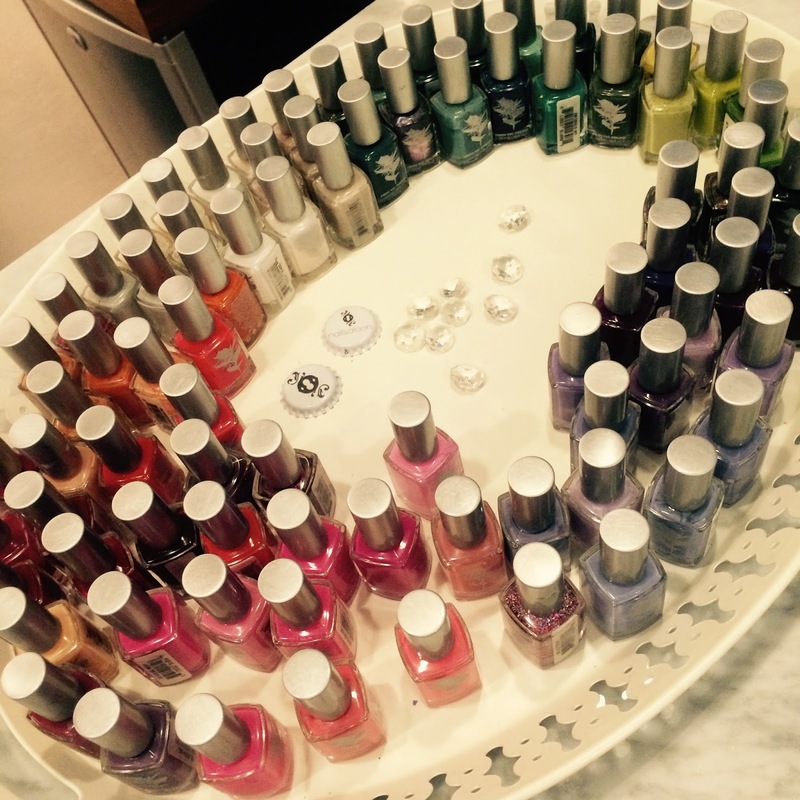 There’s also a 7.5% and 30% option that could be chosen, depending on how sensitive your skin is. I have rosacea, and even though it isn’t that bad, the 15% option is what she determined would work best for me. After the peel step the Vortex-Fusion, as seen above, extracts with the help of salicylic acids breaking down all the yuck in your face. & if you’re wondering how I know all of this stuff, it’s because Sherri did an excellent job at explaining each step of the procedure as she performed it. Lastly, your refreshed skin needs to be properly hydrated with the Antiox serum and then adequately sunscreened before heading out the door. The HydraFacial MD treatment took about 20 minutes and while I did leave NOVA pretty red, it didn’t last more than an hour or so. Sherri told me people come in on their lunch break for the facial, and while it’s not ideal, if you must you can apply makeup right after if needed- which is good to know for the future. Honestly, every aspect of the HydraFacial MD is better than either a typical peel I’ve had done or a standard facial. Yes, it’s quick and not as spa-like, but ultimately my end goal is fantastic skin, which is what the HydraFacial delivers. For more information on NOVA Plastic Surgery and the HydraFacial MD visit their website here & enter your email address for a chance to win a free HydraFacial MD! Be sure to head over to their Facebook and Twitter too! The DMV has been pretty snowed in since the weekend, no school Monday & Tuesday meant I could get out and enjoy a nice Restaurant Week lunch! Restaurant Week in the D.C. area means a 3-course lunch ($22) or dinner ($35) at participating restaurants. 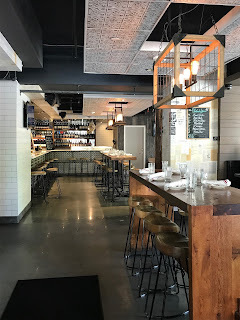 I’ve had my eye on Spanish eatery SER in Arlington, Ballston to be exact, so I figured it would be the perfect spot to sit, get some lunch, and get some work done on report cards. 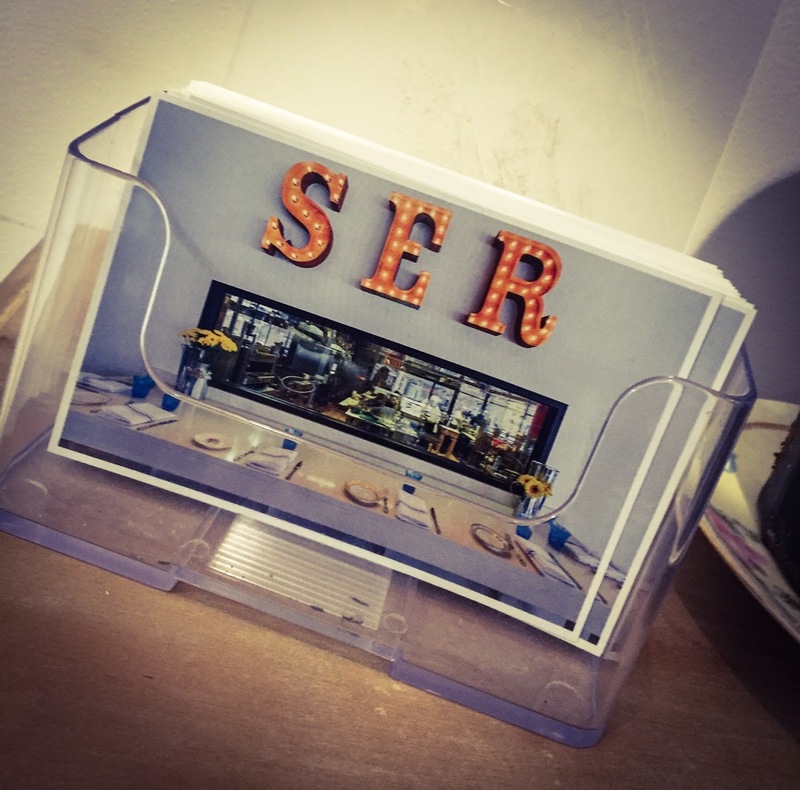 SER stands for simple, easy, and real, & it’s a Spanish tavern, not a tapas restaurant. I love the relaxed & modern vibe of SER, mixed with their non-stuffy seriousness of the menu, offering “a gastronomical journey and cultural adventure”. Did that description even make sense? In my mind it did…& either way, it’s a compliment for sure. Seeing that most people decided to stay off the roads, which were pretty clear honestly, it was just me and a few others in SER for lunch. I took a seat at the bar, pulled out my laptop, and ordered a white sangria. It was delish, & how cute is that little bottle?! For my appetizer I ordered the Crema de purrusalda con picatostes, which was a leek & potato creamed soup with croutons. I’m not sure if it’s supposed to be served at the temperature of a soup, it was more warm than hot. Regardless, it was smooth, had balanced flavors, and the croutons were great. 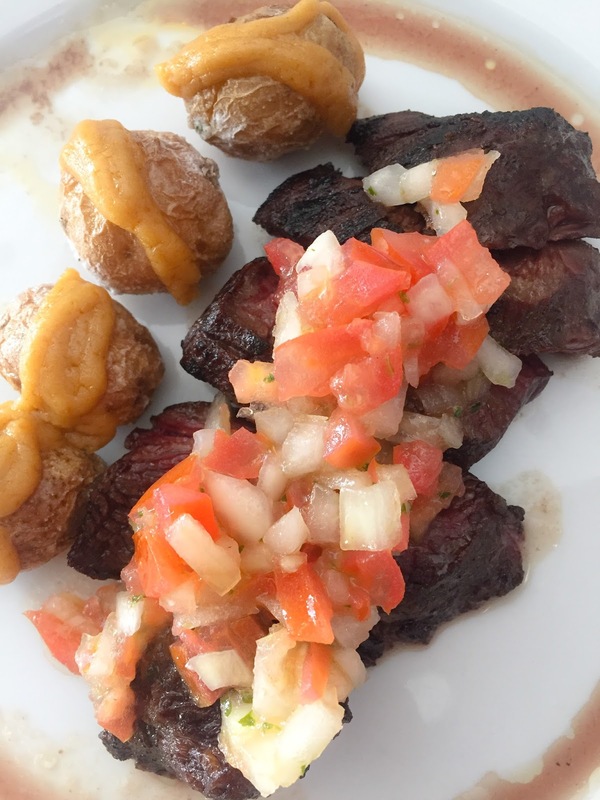 For my second course I ordered the Buey con papas “arrugas”, a grilled hanger steak with Canarian potatoes and spicy pepper sauce. Oh mah gawd, this was amazing- not to mention it was the perfect sized portion. The spicy pepper sauce was so yum with a bold flavor that added greatness to the already tender and flavorful steak. The added tomatoes and onions on top sealed the deal with a fresh flavor. Lastly, for dessert I chose the Tarta de queso fresco, which is a Spanish cheesecake, and it was served with a berry compote. 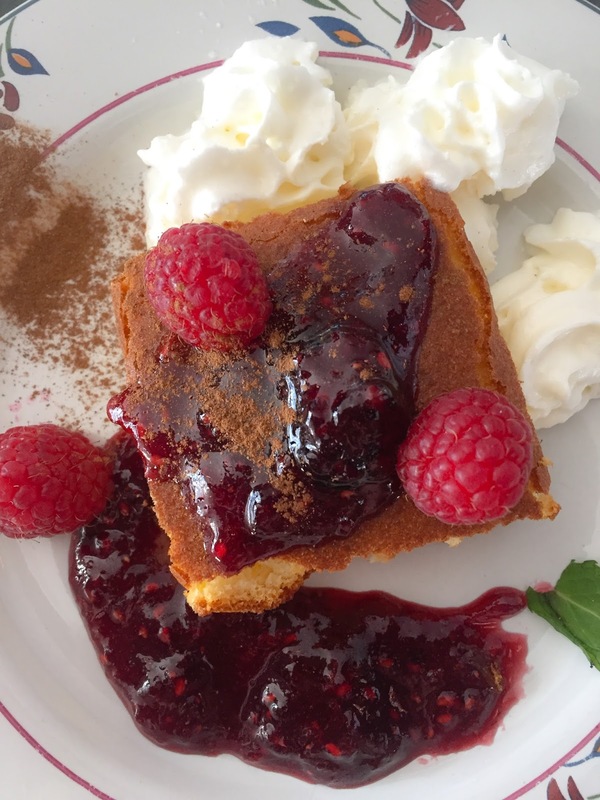 I don’t think I’ve ever had Spanish cheesecake before, it was an interesting texture, the berry compote and cinnamon on the edges was a great compliment to its flavors. 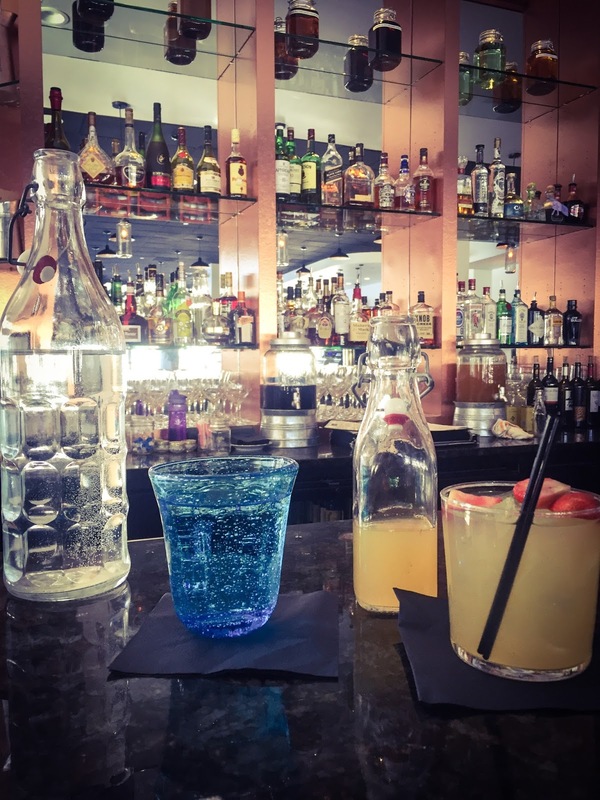 If you’re looking for a place to try this Restaurant Week, definitely head over to SER in Ballston. 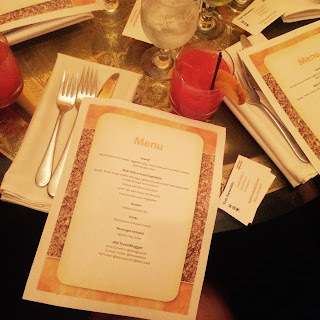 The vibe is perfect for young professionals and the food was outstanding. So glad I stopped by! I was lucky enough to be invited to #DcTravelBlogger dinner, hosted by Jessica van Dop DeJesus of The Dining Traveler, at Bistro du Soleli in Alexandria last week. 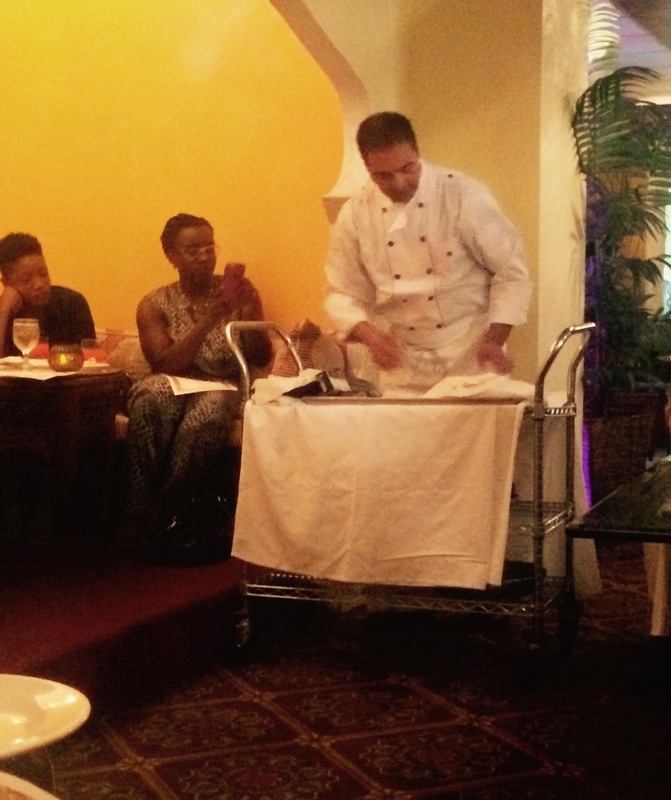 Guests dined on a 7-course culinary tour through Morocco, guided by Bisto du Soleli’s Chef Samir Labriny. Each dish on the menu heightened taste buds with bold flavor and rich culture. Our welcome cocktail, created by the Chef, was called a Moroccan Orange. The color was amazing, I should’ve written down what liquor was in it, I could certainly taste vodka though, which is my absolute favorite. 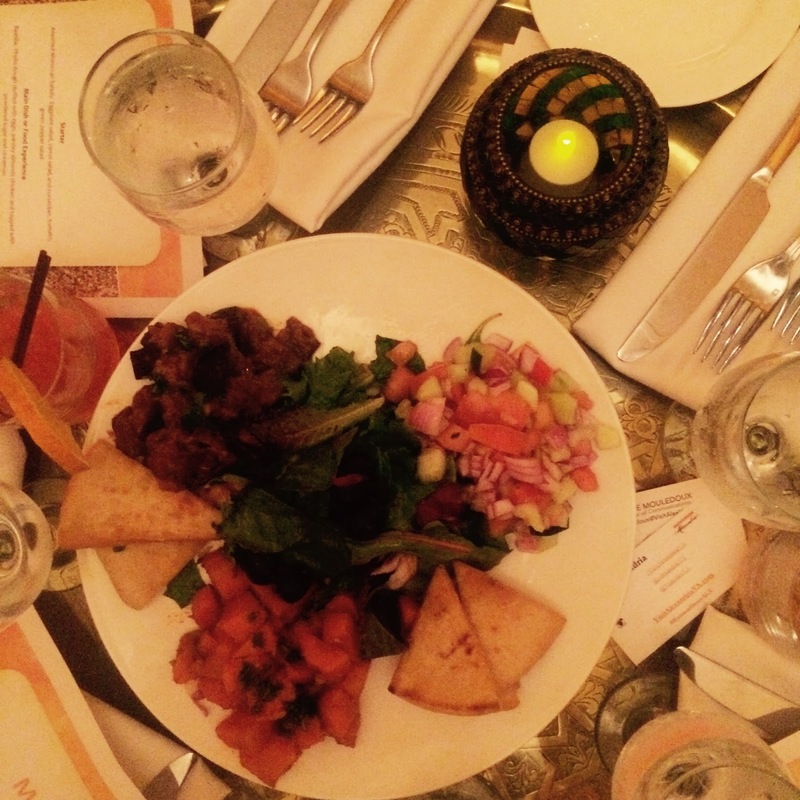 Our first course were assorted Moroccan salads consisting of eggplant, carrot, cucumber, tomato, and green pepper salad combinations. It was the perfect starter, light and refreshing. The next course came with a cooking demonstration by Chef Labriny himself: bastilla. I honestly did not know what this was before he started explaining, a phyllo dough stuffed with eggs, almonds, parsley, and chicken….topped with cinnamon and powered sugar. The ultimate mixture of sweet and savory, the flavors worked so well together, it was an incredible dish. Next up was chicken with lemon and olives, the chicken was so full of flavor and tender- not to mention the combination of lemon and olives is one of my favorite. & after that we were treated to an incredible lamb dish with honey and almonds. I can’t even begin to tell you how great this dish was, it was by far my favorite of the evening. The main courses ended with couscous with seven vegetables. I wish I had had room for more, it was so delicious. I was so grateful for the to-go boxes Chef Labriny gave at the end, I ate my couscous for lunch today & it was to die for. For dessert we indulged in baklava and finished off the evening sipping mint tea. 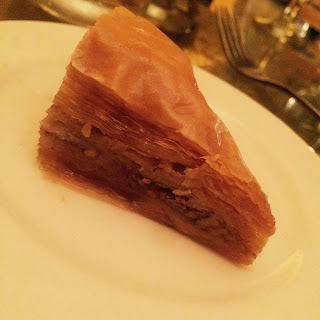 Ever since I visited Greece a while back, I have been obsessed with baklava, the pastry was so flakey, it was heaven. I’d like to thank Jessica and Chef Labriny for hosting such an unique dining experience. I’m happy I was able to try out a restaurant I’d never been to before in Alexandria, & I know I’ll definitely be returning sometime soon!